We offer online Digital Inspection Photos. We take digital photos during our inspections to document our findings in a helpful, and objective manner. One of the many benefits of digital inspection photos is that they allow you to see your inspection "through your inspector's eyes" with our exclusive Internet Photo Report. Digital inspection photos are particularly helpful for highlighting conditions located in hard-to-reach areas -- such as rooftops, attics and crawlspaces. Our exclusive Internet Photo Report allows you to share these digital photos with others by having your own web page posted at our website. These images include helpful captions of the defects. This will allow you to communicate more effectively with the many parties involved with the transaction, such as: Realtors, the Seller, Repair Contractors, and others who may need access to these images in order to help expedite the real estate transaction. 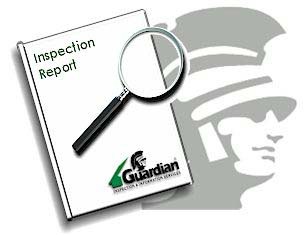 Please ask about our Internet Photo Report options when ordering your inspection.